These chickpeas are "living" because after a week or so in the fridge, they will sprout. 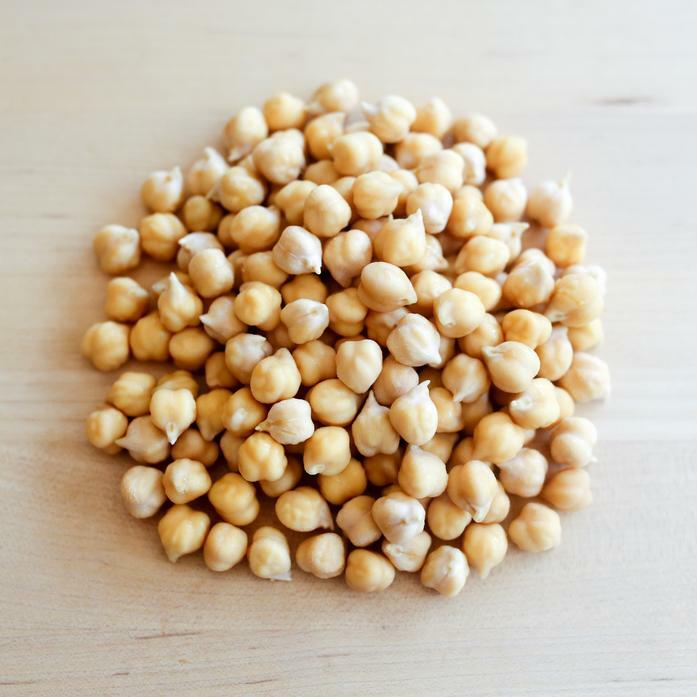 High in nutrition and bursting with pure chickpea flavor, these can be roasted, tossed into a salad, or ground into a delicious homemade hummus. Unlike canned chickpeas, they have never been cooked.